April 16, 2019 - Like us now! 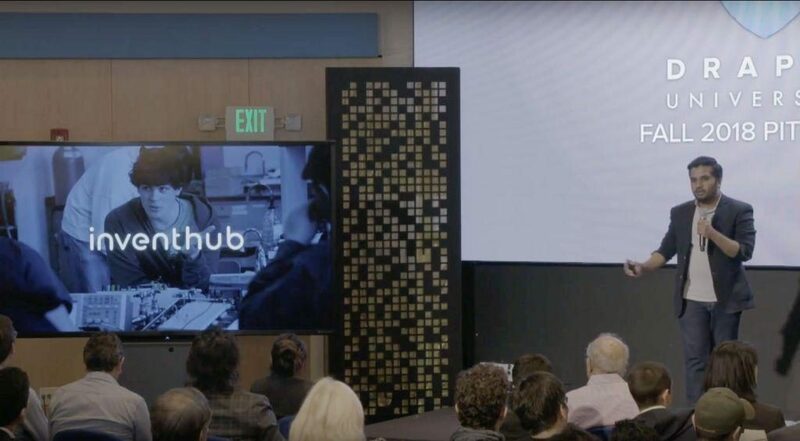 InventHub, a Pakistani startup for open source hardware just like GitHub that features a collaborative hardware design tool for electronics enthusiasts and developers, has recently secured an undisclosed seed investment from venture capitalist and billionaire Tim Draper. Draper, whose portfolio of investment consists of big tech giants such as Hotmail, Skype, Tesla, SpaceX, Baidu, and Robinhood, has invested in InventHub believing firmly that it has the capability of revolutionizing the world of hardware. The seed investment figure remains unrevealed for now, but we can fairly guess that startups who usually pitch for Draper University‘s Pre-Accelerator program get an investment of around $100,000 to $120,000. Powered by artificial intelligence to automate circuit design, InventHub expands the world of hardware to just about everyone. From experienced inventors to part-time hobbyists and students, anyone will be able to use the platform to learn, design, build, test, and manufacture their projects. The startup that was mentored by NUST’s Technology Incubation Center, provides hardware developers a user-friendly platform to easily design and prototype their next world-changing innovation. And with its community feature, users can collaborate on products and help each other make something truly outstanding. Once a hardware developer is ready to move forward with a design, InventHub enables users and manufacturers to connect from within the platform, building an uberized manufacturing marketplace. The funding from Tim Draper will be used to expand InventHub’s core team, ramping up marketing activities to increase engagement and build its open-source hardware community. The funding will also be used to create community outreach tools for manufacturers. “The Maker Movement is an essential element of our future and if we want to grow, we must inspire. No longer do people have to retreat to their work sheds, toiling in solitude and researching for hours. InventHub opens up the world of DIY to just about anyone, believing that whatever we make, we can build it better — and more easily — if we do it together,” adds Usama Abid. If you are interested in exploring the platform, join their early access list here.